Not many presidential candidates – certainly not in this very lopsided election – are serenaded into a packed stadium by an 18 piece live band, including seven violinists. But – for better or for worse – Omar al Bashir is not your average candidate. ‘Bashir-na, Rais-na’ (our Bashir, our President!’) they chanted at Khartoum stadium on Thursday night, spurred on by a man with a strained voice and a megaphone, as the incumbent wrapped up his campaign. The women seemed particularly enthusiastic. Thousands of them, many dressed in white Tobe emblazoned with the green tree logo of Bashir’s National Congress Party, sat in neat rows on the astroturf pitch at Khartoum stadium, waving Sudanese flags on cue, and looking at the leaders on a stage in front of them. When Bashir finally made his way to the podium, he waved at them to approach him – perhaps it wouldn’t do for a leader to appear so visually distanced from his people. The line of security men in slightly ill-fitting suits, previously so stern, made no effort to stop the tidal wave of ululating women running to get closer to the president. Try telling that that to the millions who have fled conflict in Darfur, South Kordofan and Blue Nile, the civilians who have seen family members ripped apart by barrel bombs, or lost children to the hunger brought by war, and you are likely to get a rather rude rejoinder. So how real was the fervour in Khartoum stadium? Afterwards someone suggested to me that the ululating women had been paid, their support manufactured to ease their daily troubles. I think the truth is more complex than this. Some certainly bow to the NCP, hoping for patronage. Many others hate the party. But Bashir himself does have more support than many outsiders, and some Sudanese, would like to believe. Before he began to talk, the president danced his usual jig, waving his swagger stick in the air. He later used it to punch out emphasis during his speech. As always, the candidate made promises – water, jobs, development – and as always Bashir attacked the west, saying the former colonisers still want to humble the Sudanese people. To a certain audience – though by no means to all the Sudanese people – this hits home. Bashir’s public supporters include religious and traditional leaders, famous actors, businessmen, musicians. Some, at least, have profited from the president’s time in power. They will remain loyal, at least until the political wind changes. That certainly won’t happen at these elections. As the president’s speech progressed, a funny thing happened. The stands started to empty, and people began to file out – not the passionate women who had rushed up to the stage, but many others. ‘They’re going to pray’, a Bashir loyalist explained. If that was the case, they did not return afterwards. By the end, the presidential candidate certain to win re-election – in a vote boycotted by all his major challengers – was speaking to considerably fewer people than when he began. Yet looking out from the stage, Bashir will have seen thousands of adoring faces, cheering his every word. It’s difficult to imagine any politician wanting to give up that sort of power rush, manufactured or not. 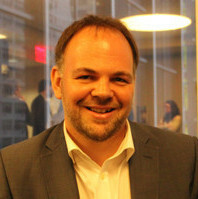 James Copnall is a journalist and author of “˜A Poisonous Thorn in Our Hearts: Sudan and South Sudan’s Bitter and Incomplete Divorce’. He is Editor of “˜Making Sense of the Sudans’.